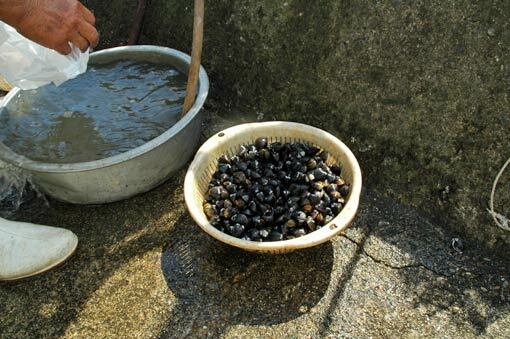 Although the island has few so-called “tourist attractions”, walking around the Oki-shima village uncovers a lot about the local life in this “remote” enclave. Along the southwestern shore stretches the island’s only settlement, about 150 houses huddle together over the constrained strip of land backed by a mountain. 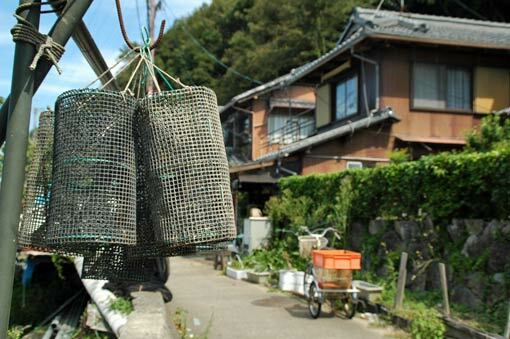 The village is largely devoted to fishing. 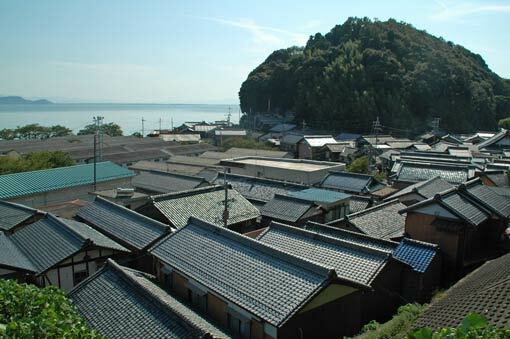 At its middle is the Oki-shima port, around which fishing storehouses and workshops occupy a substantial area of land. 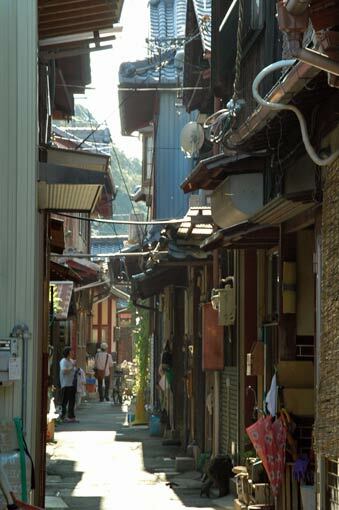 To soak up the island lifestyle, nothing could be better than to walk down the extremely narrow streets running through the settlement. Without private gardens and parking lots, most houses line closely on both sides of the 1-2 metre wide lanes, allowing you to get a look at the village life within literally touching distance. (Please be respectful of the residents’ privacy!) A variety of miscellaneous things spilling out onto the streets — from fishing gears, farm tools, strollers and bicycles, to pots of flowers, hanging laundry and domestic odds and ends — create a casual, lived-in atmosphere. Most of the few businesses and public facilities are in the middle to the western part of the settlement; a post office, a community centre, a few places to eat and stay and other small shops. 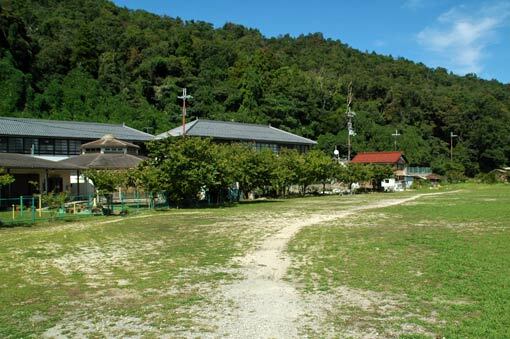 Further along to the northeast is pretty Oki-shima Elementary School, where 9 children are learning. 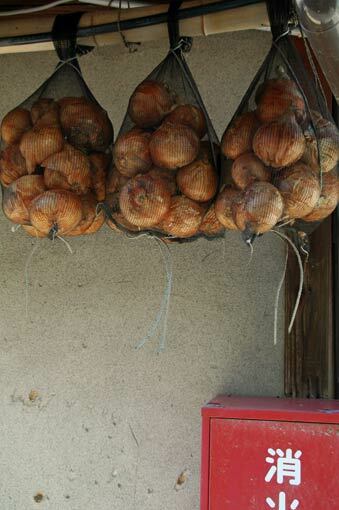 You’ll also find Jizo Buddha statues standing here and there. On the small hillocks behind the village, a small Shinto shrine and graveyards overlook the houses and the lake.